Is the Car Market Really On the Mend? Overall, sales volumes for car companies surged 17 percent in November. How high can the car market go? That’s the question a lot of industry observers have started to ask after looking over November’s automotive sales figures. The month brought significant relief to an industry struggling to climb out of one of the worst downturns it has suffered since the Great Depression. Overall, sales volumes surged 17 percent in November. Other than industry giant Toyota, which is still suffering from its ongoing safety recall problems, most major carmakers saw double-digit gains. Ford, for example, said its November sales were driven by truck sales that rose 34 percent, while sales of the Fusion jumped 28 percent. Ford said it has already set a full-year sales record for the midsize sedan. It’s a very different scenario from the beginning of 2010 when car manufacturers seemingly couldn’t give their products away. 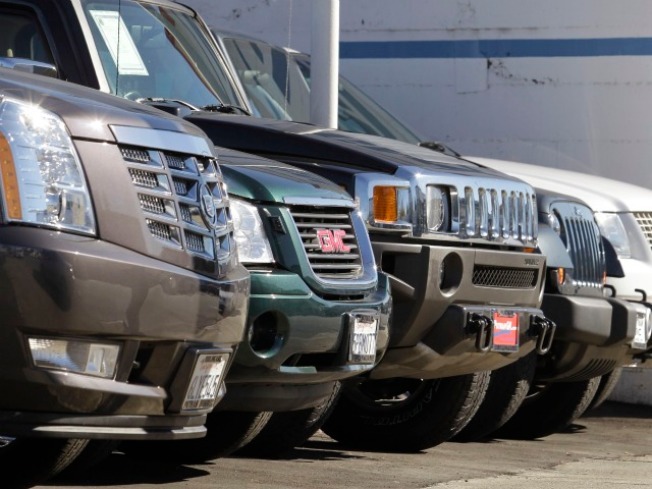 Last year saw U.S. motorists purchase a grand total of just 8.6 million new cars, trucks and crossover vehicles — that’s barely half the record sales levels the industry set early in the last decade. The current year didn’t get off to a much better start, so for all of 2010 the new car market will still just nudge past the 11 million mark, according to industry research firm J.D. Power and Associates. Still, the industry sales freeze looks set to thaw in October and November. It’s an odd time for sales to pick up, but warming demand has seen the annualized sales rate nudge 12 million for the last two months. That’s still down 30 percent from the industry’s peak, but a big improvement nonetheless. Now, the guessing game begins. Will industry sales suddenly return to their former vigor or continue to creep along with just marginal gains? Will the industry eventually match the peaks of the last cycle or has the trend line unexpectedly shifted direction downward, meaning a much smaller recovery than hoped for? Mike Robinet, a senior analyst with IHS Global Insight is upbeat. He’s not forecasting a big sales recovery, but he expects sales to grow modestly to 12.8 million in 2011. After that, it’s off to the races. His firm’s annual sales figure jumps to 14.8 million in 2012, and it keeps going, all the way up to 17.2 million by 2016. That number would come within a hairsbreadth of the 17.4 million sales rung up in 2000. J.D. Power, meanwhile, is forecasting a similar, 12.8 million number for 2011 and a bigger jump — to 15.1 million — the following year. The research firm has not yet made public a projection for 2016. Such optimistic forecasts depend, of course, on a number of assumptions, as well as identifiable trends. In the latter category is the emergence of the Gen-X and Millennial motorist as a driving force in the new car market. Add in immigration and IHS estimates there will be 25 million new drivers in the U.S. over the next decade, although obviously not all will be shopping for a new vehicle. Robinet also points to what he calls “the engineering of demand.” Governments are mandating new safety, emissions and mileage standards, while the industry is adding plenty of other features, like the Ford “MyTouch” infotainment system, which could attract existing owners to trade in or upgrade. But new government mandates and upgraded content in vehicles could also backfire because these changes are likely to raise vehicle prices, other analysts caution — this could drive car buyers to move downmarket or switch from the new to the used car market. Of course, there are plenty of other reasons to question whether the market will climb to — or at least near — new highs. While the economy certainly looks better than it did in the months following the onset of the financial crisis, the latest data on the employment market show that the after-effects of the Great Recession remain with us. Nowhere is this more apparent than in the jobs category. Last week’s government jobs report for November saw the nation’s unemployment rate climb to 9.8 percent, a seven-month high, as hiring slowed sharply. Overall, U.S. employers added just 39,000 jobs last month, a sharp decline from the 172,000 created in October, and many analysts now believe that the nation’s jobless rate will climb above 10 percent in the coming months. True, factories seem to be producing more, but American business seems to be learning to get by with a leaner workforce. And that, insists Frank Stronach, founder of — and still consultant to — the Canadian auto mega-supplier Magna International, doesn’t bode well for the automotive industry. “We have to focus on creating jobs in America because if we don’t, who will be left to buy cars?” he asked. With vehicles proving more and more reliable, there’s less pressure to trade in a three or four-year-old vehicle, he acknowledges, while the newfound focus on value could reduce the number of vehicles that American families feel they need to own. As a result, it’s a “very realistic” possibility, said Johnson, that the industry won’t see another 17-million unit sales peak anytime soon. If that’s the case, just how much of a recovery the industry experiences remains to be seen. Even a more modest 15 million units a year could look much better than it did in the past. Consider GM, which is expected to end 2010 with a multi-billion-dollar profit, despite the weak automotive market. It would be the company’s first profitable year since 2004, and even before then it was struggling to stay in the black during some of the best years the industry ever had. The automaker’s 2009 bankruptcy has created a leaner more efficient company. But the economic crisis led its competitors to also do some serious restructuring. So there’s far less profit-gobbling excess capacity in the North American market, and even if the U.S. car market doesn’t return to its glory days in terms of sales, the industry could still be churning out record profits.